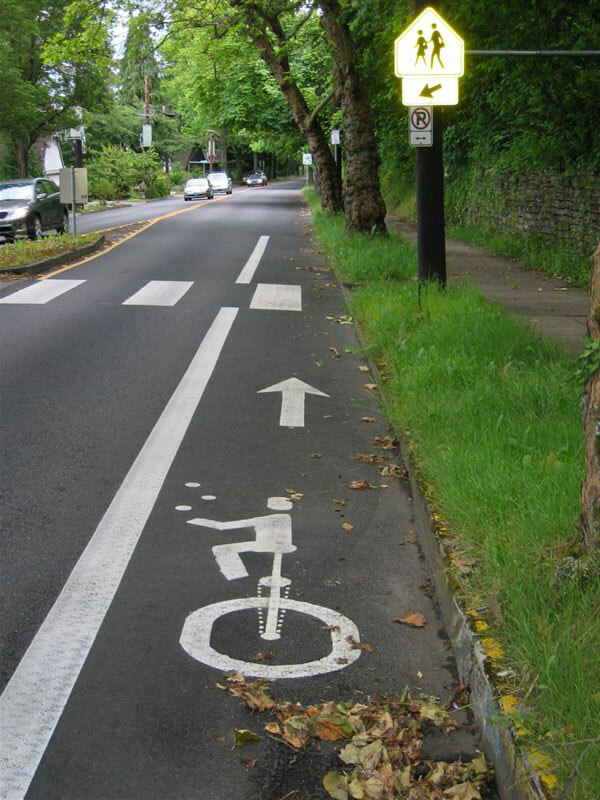 Here at Portland Walking Tours, we love the City of Portland staff that marks the bicycle lanes around town! For about two decades, they have been coming up with hilarious and unique designs that help give Portland its special flair. This time, they have outdone themselves. According to Shannon Henry, who took this picture and posted it on Flickr, they like unicyclists too! This entry was posted on Friday, June 30th, 2017 at 8:00 am	and is filed under Arts & Culture.